President Xi Jinping is expected to use a gathering of dozens of African leaders in Beijing to push back against criticism that China’s vast development initiatives risked saddling emerging economies with debt. Xi’s speech Monday to the Forum on China-Africa Cooperation gives him a high-profile chance to defend his signature Belt and Road Initiative to develop roads, railways, ports, pipelines and other trade links. He possibly previewed his remarks last week when he told Chinese officials the program was “open and inclusive” and not about creating “a China club". Xi “will stress the importance of consultation and taking African countries’ needs into account,” said Shi Yinhong, a professor of international relations at Renmin University of China. But the president’s assurances “won’t quell the skepticism around the globe at once,” Shi said. While Beijing-backed investment has provided African governments much-needed infrastructure without the West’s political and fiscal demands, it has also generated complaints about China’s preference for loans and reluctance to use local labour. 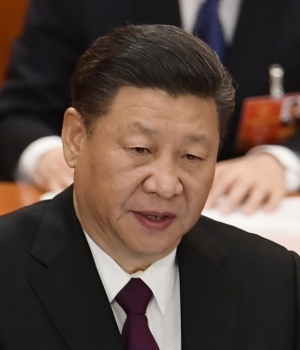 Such concerns have grown as Xi extended his Belt and Road plan across much of the globe and tied it to his ambition of completing his country’s return to great power status. In recent months, Beijing has faced criticism about its debt practices from countries ranging from Australia to India, with even some Chinese academics airing doubts at home. Malaysian Prime Minister Mahathir Mohamad warned against “ a new version of colonialism” during a visit to Beijing last month after suspending a $20 billion Chinese-built rail project. The Trump administration, which has described that China’s infrastructure initiatives as a challenge to US influence, is discussing greater infrastructure investment in the Asia-Pacific region with Australia and Japan, although funding sources remain uncertain. “Chinese investment does have the potential to address Africa’s infrastructure gap, but its approach has led to mounting debt and few, if any, jobs in most countries,” then-US Secretary of State Rex Tillerson said during a visit to Addis Ababa, Ethiopia, in March. Africa is a vital front in Xi’s fight against such skepticism, receiving $12BN of Chinese lending in 2015, compared with just over $100M in 2000, according to data from the China-Africa Research Initiative. Ongoing Chinese-backed investments range from Ivory Coast power plants, to a Rwandan airport to a railway in Kenya. Africa includes some of China’s largest suppliers of oil and other commodities and the tiny East African nation of Djibouti hosts its first overseas military base. Total trade between China and the continent’s nations rose 14% last year to $170bn, according to Chinese data. Foreign Minister Wang Yi said August 22 that Xi would introduce new initiatives to boost cooperation with African nations, without elaborating. China has taken steps in recent years to build soft power in the region, sponsoring scholarships for African academics and sending peacekeepers to United Nations missions in Mali and South Sudan. Views of China have generally been more positive in Africa than in Europe, Latin America and among the country’s neighbours in Asia, according to the Pew Global Attitudes Survey. During a visit to Johannesburg in July, Xi said the Belt and Road Initiative would be based on a principle of “jointly building and sharing.” “China and African countries are destined to be good friends, good brothers and good partners,” he told the BRICS Business Forum.